A stroll through the famous market area of Rialto and its stalls of fish, vegetables and fruit, discovering the ancient edicts aimed at controlling commercial trade. The Rialto market – once the centre of commercial and financial activity - is still a fascinating place full of colour and history. To see the market at its best, we suggest you pick a weekday morning tour. Having left the hustle and bustle of the market behind, we shall lead you through quaint and quiet backstreets to reach the imposing Frari Church. This was the main Franciscan house in the city, a monumental structure featuring some greatest art jewels in Venice. 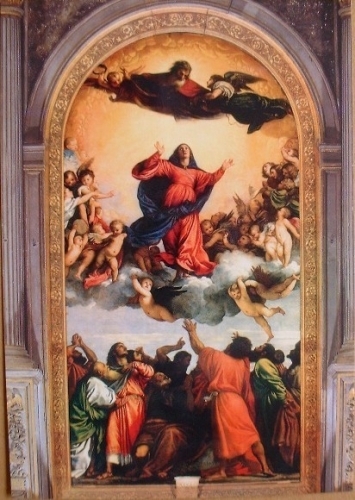 You will be moved by the sweet, somewhat distant beauty of Giovanni Bellini’s Virgin Mary, and overwhelmed by the astonishing symphony of colours in Titian’s Assunta.